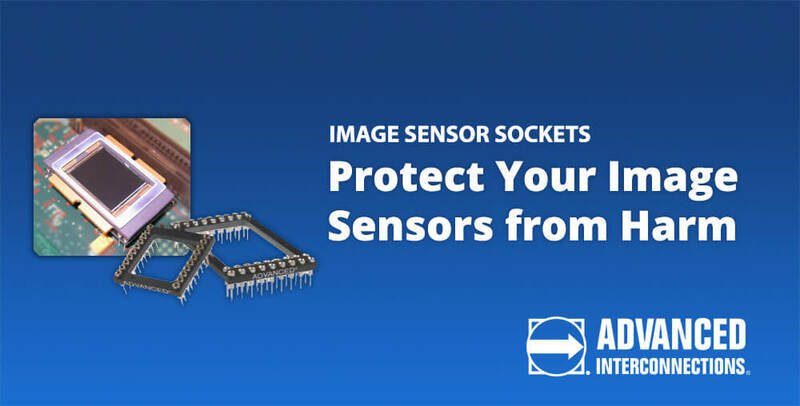 Image Sensor Sockets Protect Your Image Sensors from Harm » HHP Associates, Inc. Image sensors are such an integral part of the modern world. They’re part everything from astronomy, to medicine, to our consumer electronics. But a lot can go wrong with image sensors, especially during board assembly. The glass plate is vulnerable to scratching. High temperatures and humidity can also damage the sensor, especially during soldering. And handling can cause static discharge. Sockets can remove these issues, allowing placement of the sensor after the rest of the board is assembled. Sockets can also help you look to the future because it’s easier to replace a sensor with the next model. Advanced Interconnections offers a wealth of options in image sensor sockets to consider. HHP is honored to serve as a manufacturer’s rep for Advanced Interconnections.